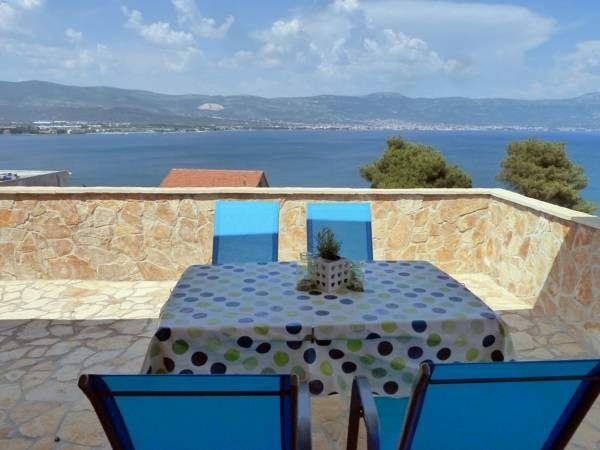 This newly finished and furnished house has 3 apartments in total and a spectacular sea view. The smallest, studio, is located on the side of the house but also has a spacious patio with a sea view. All apartments are newly furnished & well eqipped. The house is located on the top of a hill but easily accessed by car for those who don’t like walking.